Pumpkin spice and salted caramel is the ultimate fall flavors in coffee drinks. I tried, tested, and tweeted these Amazing Salted Caramel Pumpkin Spice Latte Recipes for you. They are simple and easy without pumpkin puree. Perfect for coffee lovers who are also fans of salted caramel and everything pumpkin spice . Let’s get started, we use the Breville Espresso machine that grinds the beans for you. That gives your coffee a really fresh taste. Now keep in mind, I am all about a nice smooth coffee. I don’t like my beans burnt or bitter. Buying the perfect coffee bean will help. Let me give you some of my favorite brands below in this post. To add a special touch to this coffee, add our homemade mint chocolate chip marshmallows to this. Salted Caramel Pumpkin Spice Latte with Pumpkin Pie Sauce and a slight salted caramel taste. Perfect for the Fall days. 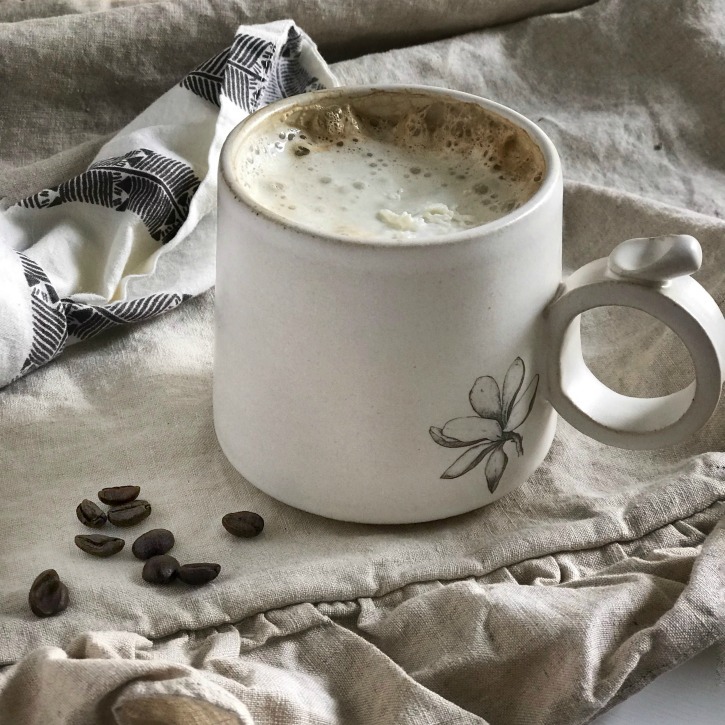 Make your latte with the espresso and steamed milk. Add the pumpkin pie sauce and salted caramel. I ended up making two different Salted Caramel Pumpkin Spice Latte Recipes in my quest for perfection. The pumpkin flavor and salted caramel brings all of my favorite cozy fall flavors together. They are both so good for the coffee lover in me. The best part is that they can’t be found at coffee shops so they are a wonderful treat to serve your guests when coming for coffee. Pumpkin Spice Salted Caramel Latte with pumpkin spice syrup and yummy salted caramel. Make you latte. Then stir in pumpkin spice and salted caramel syrup. Here are of the best pumpkin spiced coffee items below! I included my favorite coffee beans. They make a smooth coffee without the bitterness that some beans give. 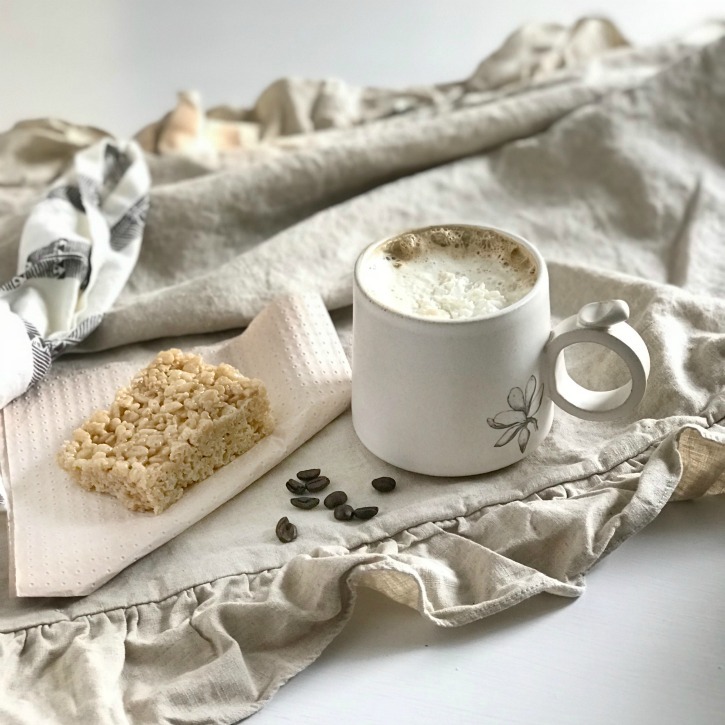 To complement your coffee and this festive fall time, I added our tasty salted caramel rice krispie treats recipe. 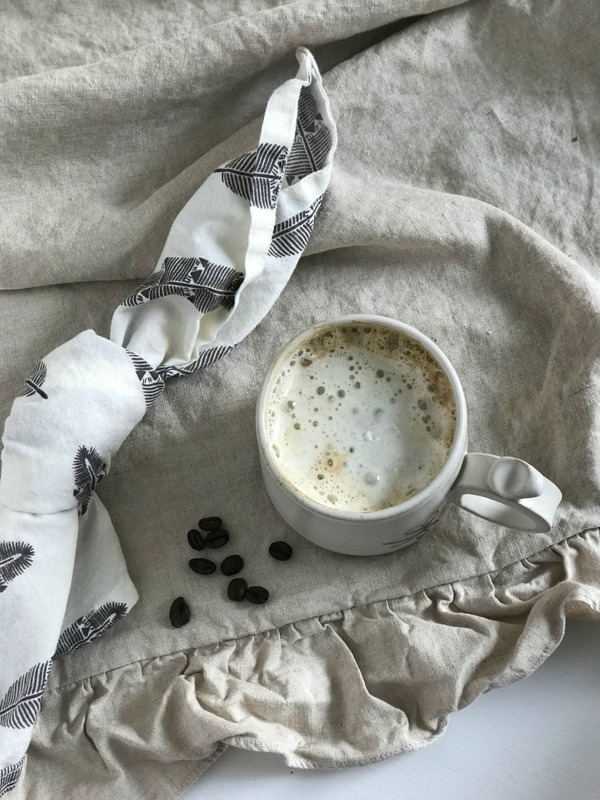 I hope you enjoyed these latte recipes. Let me know how you liked it. 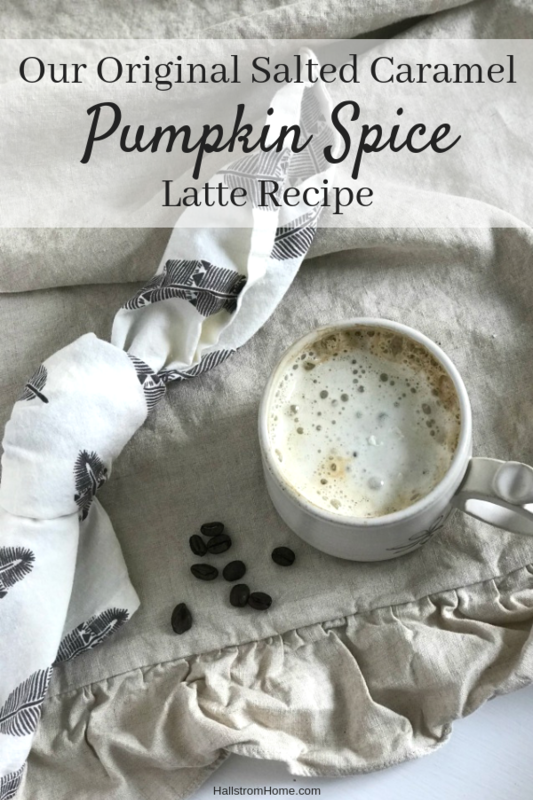 I have other recipes with pumpkin spice that you can save or print for later. Follow me on Instagram @HallstromHome to see all the updates with my shop and daily life! Check out below all the other amazing bloggers with their delicious recipes! Thanks Claire I’m glad you like them! 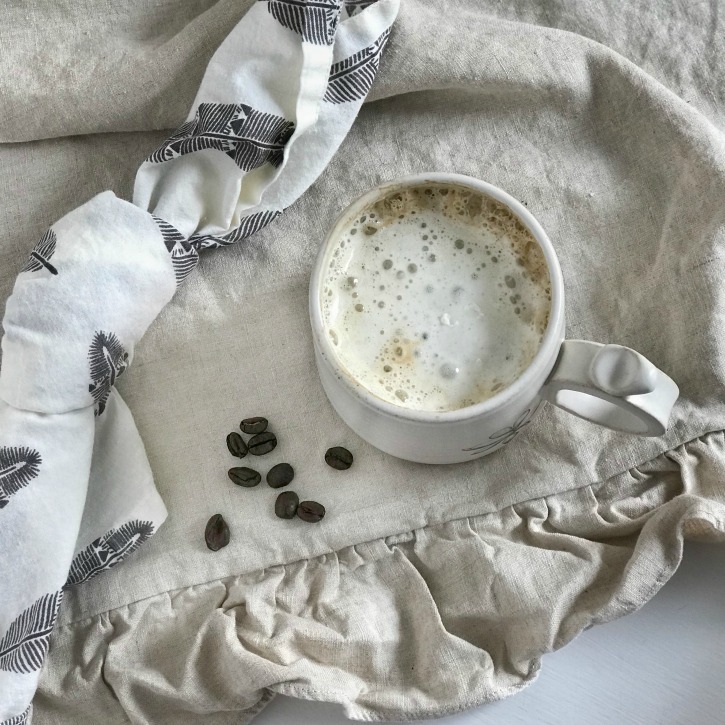 I love a good Latte and this one looks so yummy, Rhonda! Thanks Norma, you’ll have to give it a try! Pumpkin spice AND salted carmel, sounds like a winning combination to me. Can’t wait to try it Rhonda! Thanks for sharing and joining in the hop. I am so glad I could be apart of it thank you! Those sound delish! I need a new coffee maker… I’m thinking this espresso machine would be amazing! This espresso machine is amazing! I would definitely recommend it.